There are many reasons I have a fondness (read, addiction) for buying new games. It’s not just the excitement of sharing with family and friends, but the whole visceral experience that goes along with the purchase. For me, the value of the game doesn’t begin and end with playing, it starts from the moment I put my grubby little hands on the cellophane wrapped box and begin thinking about when I can unbox the game. Some might think it odd to take so much enjoyment in opening a box, and they may have a valid point, but I take solace in the fact that I doubt I am alone as unboxing videos seem to be popular on YouTube. I have a ritual that I follow when possible, after buying a new game. Don’t worry, I am not killing a chicken or dancing around the back yard with loud chants and random tosses of an unknown dust, but depending on the game, I have been known to do a small jig in the privacy of my basement. 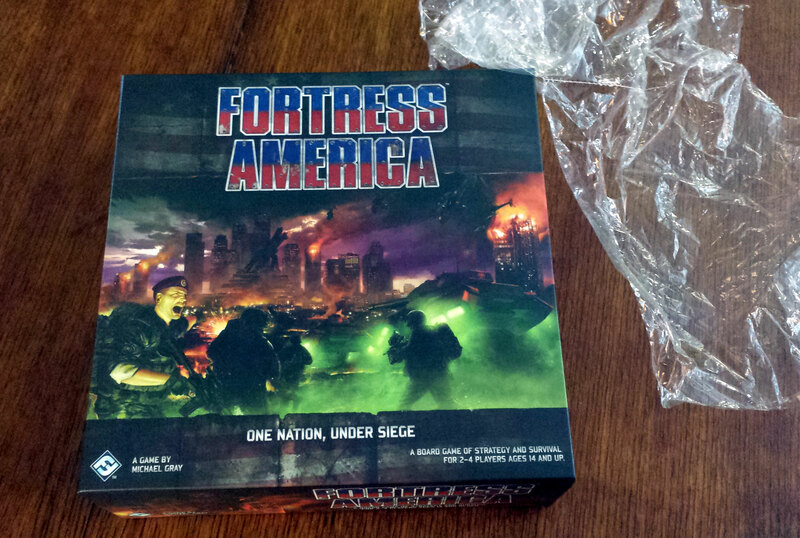 The night of an unboxing, I usually set the game out on display on our game table. A trophy of sorts, on display as an announcement to the rest of the family that some gaming activity is going to go down later. 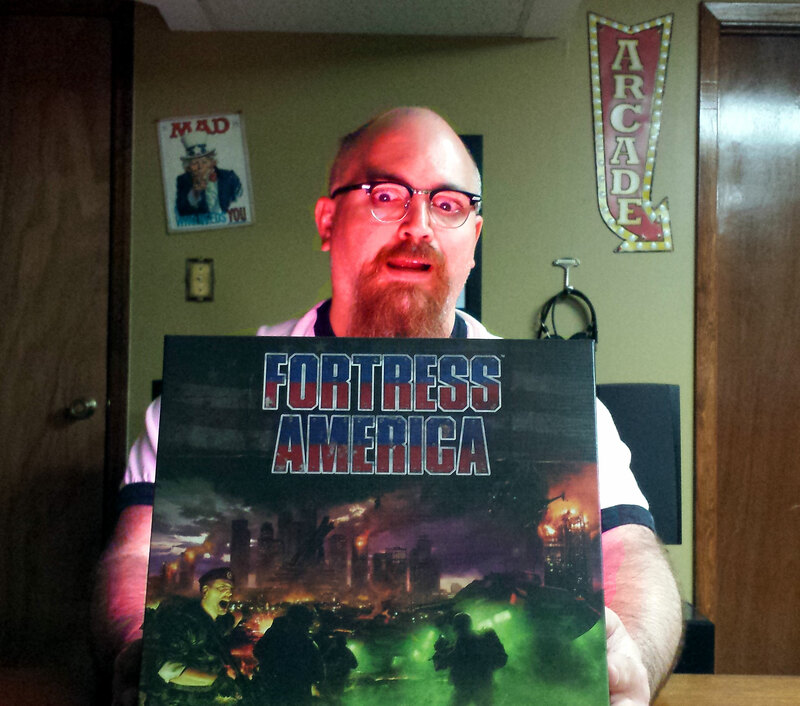 Once the time has come, there will always be music and it will likely be a record (yes, I still listen to vinyl and no, I don’t have a particular reason I prefer vinyl when unboxing, other than it feels right and I can usually get through an album while I peruse the game). I nestle down in my preferred chair and begin unwrapping the box…then I have to stop, get up, and throw away the wrapper. I fully understand there is room for efficiency and process improvement, and I have tried to get better about unwrapping and tossing the cellophane in the garbage before I sit down; while far more efficient, it seems a tad less ceremonial. Lifting the lid off the box is where the real magic happens (cue choir of nerdy angels). I imagine myself as an older and less fit version of Indiana Jones, uncovering a treasure that hasn’t been seen…well, since they packed it at the warehouse. There, inside the box surrounded by a magical glow, is unfulfilled potential in all it’s glory. Sometimes the rules are on top, sometimes the punchboards with all the included chits (if this is a Fantasy Flight game, those chits can be an epic campaign in and of themselves). The awesomeness spills up over and out of the box and it’s all ripe for the picking. I like to spend a few minutes perusing the rulebook. How big is it? Does it seem well-organized? 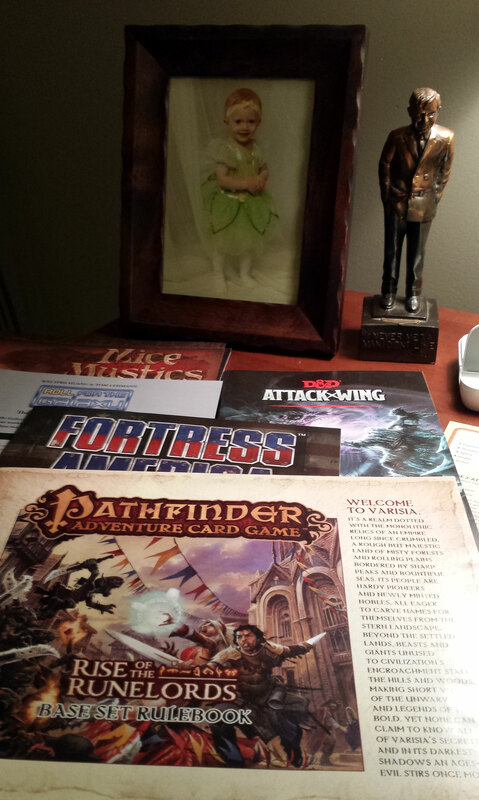 After skimming through the booklet and discerning a bit of planning on when to read and how soon we can play, I set it aside, where it will go on my night stand, along with the other rule books waiting for their turn. Out comes the punchboard; inspection and analysis. Artwork and presentation are increasingly important in modern board game design, so this is one of your first glimpses into the artwork, game management, and iconography. 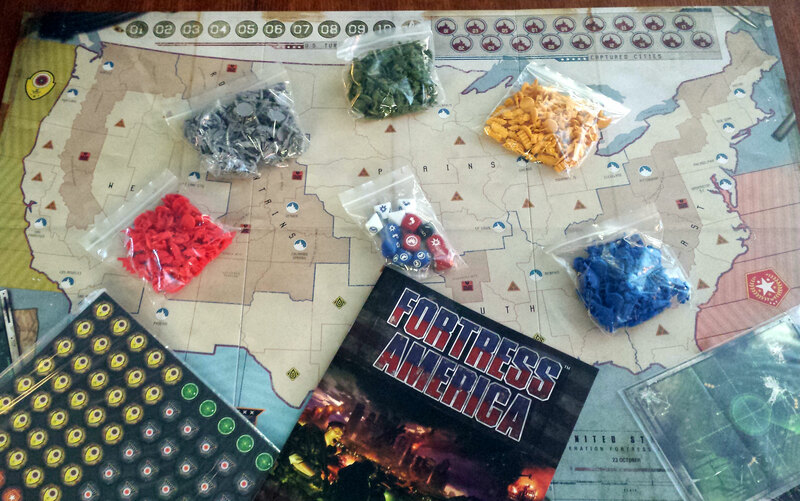 It also is the point in which I start to gauge how many, and what size, baggies I will need to (potentially) over-organize the game. Punching out the chits (if I ever become prominent in the hobby, I will lobby to forever remove the term chits from gaming. I will replace it with, “tokens of empowerment”) doesn’t usually happen now. This is an unboxing. It’s meant just to take it all in. That’s part of the game prep ritual. Does this sound creepy yet? One could argue that taking the game board (if there is one) out of the box is a bit like lifting the lid off the game again. Usually, underneath is where you will find bags filled with molded plastic, dice, and all the other bits of treasure that make up the game components. With exception to Lords of Waterdeep, which might be the most thoughtful insert design, this is a moment of pause while I try to match where everything is going to fit. Back to the board. Most certainly, this is a big moment. You may have seen pictures, or even played the game somewhere before, but this is the first time the board presents itself as yours. Clear a space and open it up (queue up trumpets, angels, and possibly a Neil Peart drum solo). It’s a corner to corner, side to side…er, wait. This side of the record is over. I have to get up and flip it to side B (damn vinyl)…It’s a corner to corner, side to side review of the board. This is similar to my study of a piece of art at the museum, but viewed through the lens of practicality. Does the board lay flat? Is there enough room for all the pieces (I’m looking at you, 5-6 player King of New York)? Once I have addressed all the critical criteria, I have a few moments to take in the artwork and design. I truly love art in games, Dragonmaster and Dark Tower (Bob Pepper) being examples of two of my favorites. The board (or card art in a card game) is the foundation for the tone of the game, the real meat and potatoes that I feel can make or break your initial projection of the fun factor. To open that bags, or not to open the bags. That is the question. Usually the answer is not; as mentioned before, this is about the unboxing. To misquote Kenny Rogers, “there’ll be time enough for punching chits and bagging, when the unboxing’s done.” That is not to say that there is not a fair amount of time for close examination of the contents. All the little bits and pieces offer clues about the potential game play. Often times, if miniatures are involved, this will be the time I have to talk myself down from adding them to the front of the list of mini’s I want to paint. This is necessary due to the line of miniatures I already have in wait. It resembles a tiny, plastic version of the Terracotta Army. This concludes the discovery process. All good things must come to an end, but it’s not really goodbye so much as, “so long for now.” I try to put everything back (except for the rule book) in its tomb the way I found it; game board covering the offerings to the gods of good game play. Seal everything up with the lid, sit back and think about the potential for good times to come. When I think about the value of a game, how much time I need to spend in order to justify the purchase, I include this activity as part of the return on investment. It acts as an intermediary phase between the purchase and the play. 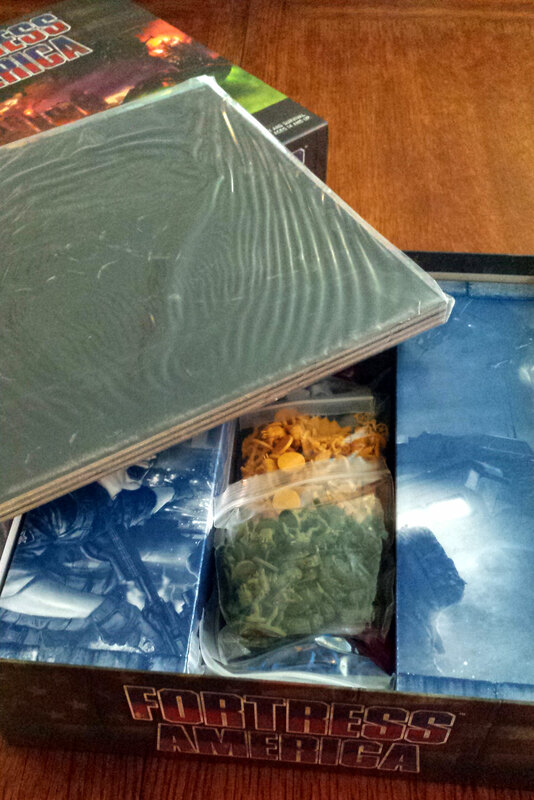 Unboxing a game is similar to the experience some people feel opening a random pack of Magic or Dice Masters; the excitement of the unknown. The difference being, every copy of that game is the same, barring any quality control issues. That’s o.k. though, because pictures and videos don’t do a game justice. It’s having it as your own, to explore and share with others. It’s so much more than the game time. I think it rekindles some bit of the child in us (Little Toby as my wife would say). It gives us a new framework to share, interact, and enjoy with those that are close to us. It also can provide a platform for us to meet new people and share something you have in common with someone you do not know…yet. No chickens were harmed in the writing of this post.